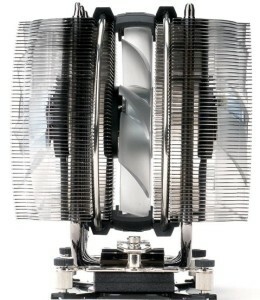 Zalman CNPS12X High-End CPU Cooler is a Beast! 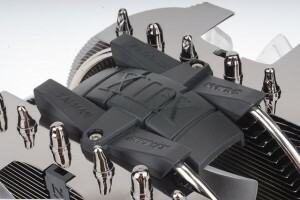 Zalman has recently announced it latest high end CPU cooler, the Zalman CNPS12X. Although the CNPS12X was first unveiled in this year’s Computer trade show last June, Zalman has finally and officially announced it and it’s coming into to your local computer stores. There were some changes when the Zalman CNPS12X was first introduced. This latest version is now fully compatible with socket LGA2011, for the upcoming Sandy Bridg-E Core i7 processors and AMD AM3+ and AMD FM1 sockets. 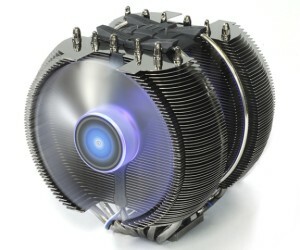 This high end CPU cooler reminds me of the old CNPS9700. The CNPS12X is like an innovation and improved version of CNPS9700. It looks more promising, and has a “beastly” touch. The CNPS12X has a mark “XIIX” on its top. It actually stands for “12X”. Now let’s get into details. 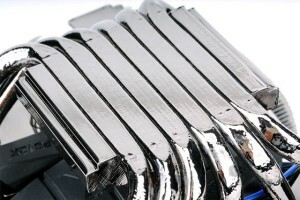 The CNPS12X is made of 6 high performance heatpipes that easily transfers the heat to its fins. It features an Interactive Heat pipe transfer Design, short for (I.H.D.). Although it features a Triple blade design, it’s relatively silent. That’s right! This beast has three 120mm blue led fans. With the Whole Direct Touch Heatpipes technology or W-DTH, the processor is directly in contact with the heatpipes making the heat transfer process better. The Zalman CNPS12X is compatible with, if not all, most of the sockets currently available in the market. The CNPS12X is coated with “Black-Pearl” Nickel for long term corrosion resistance. It also comes with a fully compatible and adjustable back plate, and a high performance super thermal grease ZM-STG2 by Zalman. As of today, Zalman has not yet disclosed information regarding its price and availability. The Zalman CNPS12X looks very promising. I’m currently using Prolimatech Megashadow and so far I’m satisfied with its performance. I wonder how the Zalman CNPS12X will fare with my Megashadow and other air-based high end CPU cooler out there.